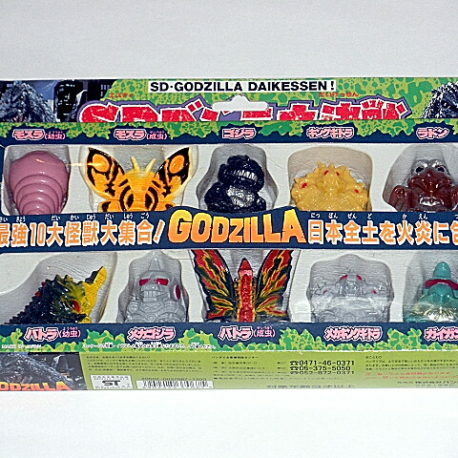 From Bandai 1992 and never re-issued comes the Goddzilla Daikessen SET. 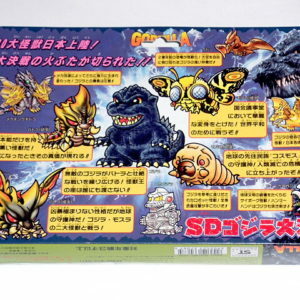 It contains some of the most popular and difficult to find monsters such as Battora Larva and Battora Adult. The other figures are Mothra Larva, Mothra Adult, Godzilla, King Ghidorah, Rodan, Mechagodzilla 1974 Mecha King Ghidora and Gigan. 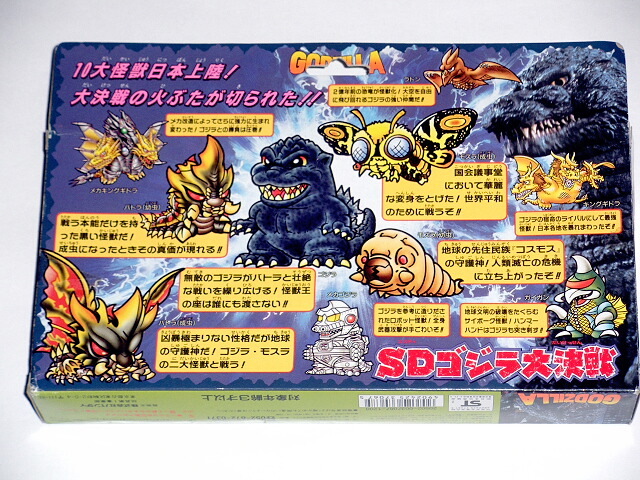 The figures are super deformed style aka SD and are approximately 2 inches. 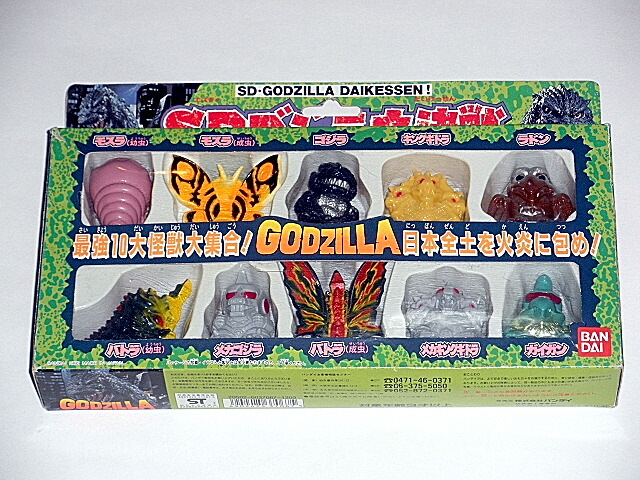 This box set will provide hours of GIANT MONSTER BATTLE FUN!!!!! This colorful 10 piece set is 19 years old! The figures are MINT condition, the box is NEAR MINT condition. Scroll down for additional photo.